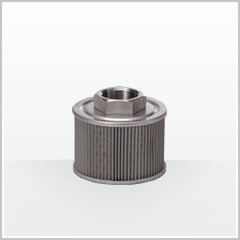 SFG | Suction strainer | Oil filters | TAISEI KOGYO Co., Ltd. This strainer is positioned at the suction entrance of the reservoir tank to protect the hydraulic pump. The all stainless construction supports phosphate ester oil and water based fluids.